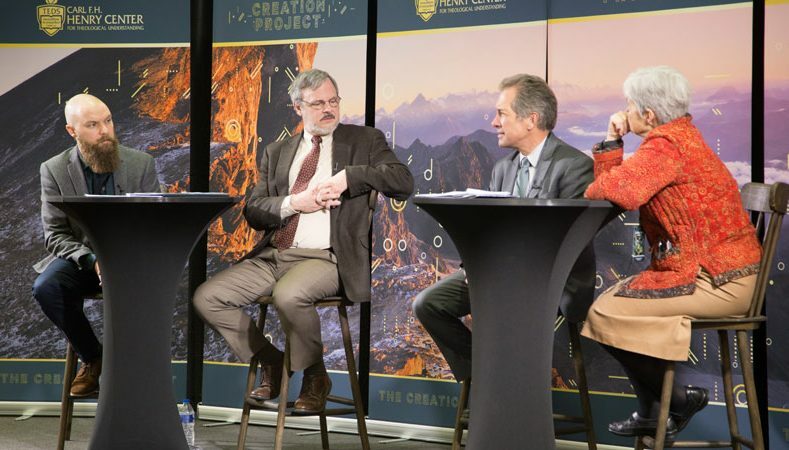 Joel Chopp moderates this discussion between Katherine Sonderegger (Barth), D. Stephen Long (Balthasar), and Kevin Vanhoozer (Torrance) as part of A Modern Creature conference. They discuss the boundaries of the natural, whether there is such a thing as forbidden knowledge, and more. Joel Chopp (PhD Candidate, University of Toronto, Wycliffe College) is the Project & Communications Manager for the Henry Center. Katherine Sonderegger (PhD Brown University) holds the William Meade Chair in Systematic Theology at Virginia Theological Seminary. D. Stephen Long (PhD Duke University) is the Cary M. Maguire University Professor of Ethics at Southern Methodist University. Kevin Vanhoozer (PhD Cambridge University) is Research Professor of Systematic Theology at Trinity Evangelical Divinity School.